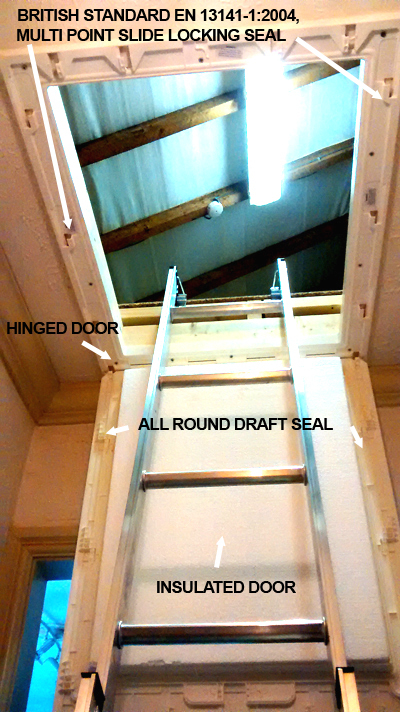 What about a commercial grade timber loft ladder with extra long hatch? 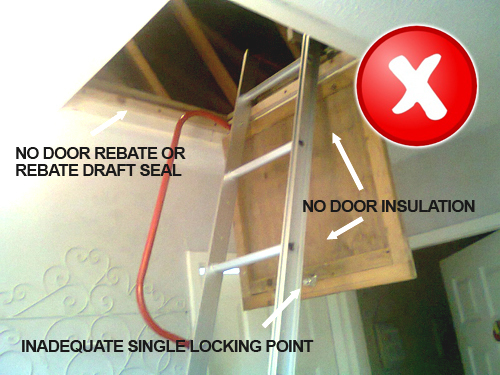 "Please do not compare these to your DIY store versions, these are a quality heavy duty version"
If you want to use your loft for more than just storage, maybe a bit of eBaying or a study / hobby area or for storage larger items then this timber combination energy efficient wood lined insulated and draught sealed hatch with wide tread three part fold out ladder. 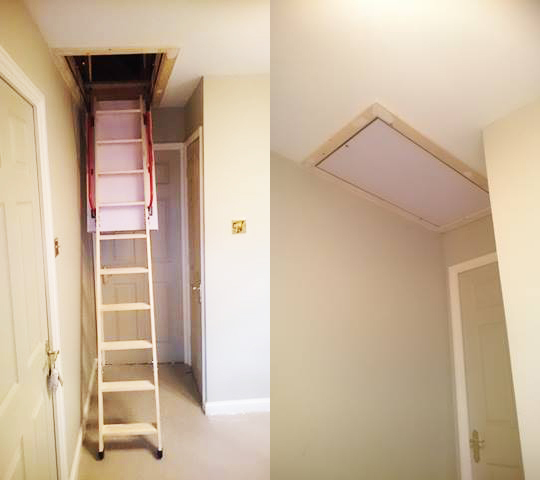 Fantastic option for those who are not good on ordinary runged metal ladders or for those who are struggling a little to get up the old way, why not have installed one of these very popular options. Please do not compare these to the ones you may see in B&Q or Wickes as the ones we fit are top quality commercial heavy duty grade. 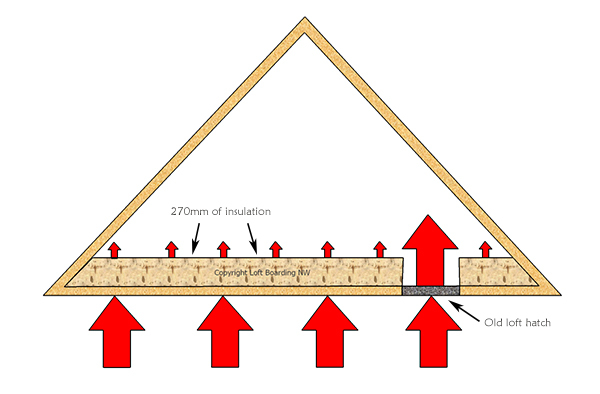 Loft Boarding NW only ever fit the best well tested products we can find, NO compromise to get our prices down, we simply don't believe in cheap options.